I provide training courses to get you qualifications and to improve your skills and confidence. Blue Albatross is an independent school which aims to teach small groups in a flexible and focused way. 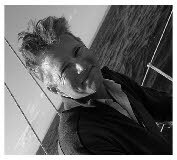 I am an RYA Yachtmaster Instructor and can teach all of the RYA shorebased navigation and practical sailing courses. Have a look at Course Dates. a retiring couple returning to sailing who wanted to brush up on their skills. We pulled out key parts of the RYA syllabus that were relevant to them, and focused on building their confidence in handling their new boat. It is quite normal for one of a couple to be more experienced than the other and it is very important when sailing short handed that both of you feel able to handle the boat. Recovering a man overboard is a classic area that needs to be practised by every boat. the couple have enjoyed many years of happy sailing together with the wife moving smoothly into the role of helm and navigator. a man who had bought a new boat with the intention of joining a round the world rally. We spent 3 weeks in the Baltic familiarising him with the systems on his highly technical boat and exploring the planning and preparations required to get him and his various crews ready to do long crossings. From the Baltic we moved the boat to the UK ready for his trip. He confidently sailed round the world passing through the Panama and Suez canals. a man who bought a new boat in Sweden and wanted help moving it to its new home in Turkey. He was quite new to sailing so the trip included a range of training from close quarter handling to passage planning to heavy weather sailing. The boat is now being happily enjoyed by 3 generations on the Turkish coast. a group of friends who wanted to prepare themselves for a chartering holiday in Greece. There were 4 of them so we carried out a dayskipper navigation course and VHF qualification in their own home. a group in Warsaw who wanted to learn how to use a sextant for ocean navigation, in preparation for sailing through the North and South Atlantic. I travelled to Warsaw and delivered the course, which worked out much more cost effective than them travelling to the UK. In addition I am able to assist new boat owners to inspect their boats (I am not a qualified surveyor, but have prepared many boats for long trips). I can be there for the hand over and the shake down and help with all or parts of the delivery to the boats new home. Some people find it reassuring to have an experienced professional on hand to help manage the unknowns and unpredictable parts of new boats. Give me a call to see how I can help.